Loyal LegiSource readers are already experts in the Commerce Clause of the United States Constitution. 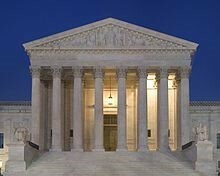 (See: “United States Supreme Court Effectively Upholds Colorado Internet Sales Tax Law”) Well, this summer the United States Supreme Court (Supreme Court) issued an opinion that made significant changes in Commerce Clause jurisprudence! South Dakota v. Wayfair is a case about e-commerce, a term used to describe purchases made from online retailers like Amazon, Wayfair, eBay, Newegg, and countless others. As described in earlier articles, until the Wayfair decision, when you made a purchase from an online retailer and the online retailer did not have physical presence in your state of residence, your state’s revenue department was not allowed to require that retailer to collect the sales tax owed on that purchase. Instead, you were required to pay the tax (now called use tax) on those purchases yourself. Unsurprisingly, most people did not voluntarily remit the use taxes they owed. While states have nearly complete authority to tax commercial activities within their own borders, these broad taxing powers are subject to limitations in the United States Constitution when the commerce goes beyond the state’s borders. The Commerce Clause reserves to Congress the power to “regulate commerce . . . among the several states.” In general, a state law cannot discriminate against or unduly burden interstate commerce, even in the absence of federal legislation regulating the activity. In addition, a Supreme Court decision frequently referenced as “the Quill case” stood for the rule that states could not require retailers to collect the sales tax from consumers if the retailer did not have physical presence in the consumer’s state of residence. The Quill case was decided in 1992, well before the era of e-commerce as we know it now. Consequently, the physical presence requirement became a big hurdle for states seeking parity between online purchases and purchases made in local stores. Many people figured it made more sense to buy an item online and not be charged sales tax rather than purchasing the same item in a local store where the price reflects the sales tax owed (conveniently ignoring the use taxes that were still due). The lost sales tax revenue provoked many states to deal with this issue in two ways: first, through numerous attempts to seek congressional action (not successful); and second, by individual states passing legislation that challenged the physical presence requirement (a description of Colorado’s effort can be found here). In 2016, South Dakota took the most direct position, passing a law requiring a retailer without physical presence in the state to collect sales and use tax on purchases and services at the point of sale. The legislative declaration even described the bill as a direct challenge to the Quill case. Wayfair, Overstock, and Newegg sued South Dakota, arguing that the law was unconstitutional under the Commerce Clause. The South Dakota trial court found for the companies, and the South Dakota Supreme Court agreed, relying on the fact that the Quill case had not yet been overturned and still required physical presence in South Dakota before companies could be forced to collect the sales tax. South Dakota appealed to the Supreme Court. In its June 21, 2018, opinion, the Supreme Court overruled Quill, holding that “the physical presence rule, both as first formulated and as applied today, is an incorrect interpretation of the Commerce Clause.” This means that the South Dakota law is constitutional insofar as a company’s physical presence is no longer required. However, the case was remanded back to South Dakota to determine whether the law is discriminatory or an undue burden on interstate commerce. South Dakota had already adopted the Streamlined Sales and Use Tax Agreement. So where does this leave Colorado? The Colorado Department of Revenue (Department) recently moved toward requiring retailers without physical presence (out-of-state retailers) to collect state sales tax and the sales taxes levied by certain cities, counties, and special districts that are currently collected and distributed by the Department. In addition, the Department adopted emergency rules to assist in administering the sales tax collections and, among other things, to specify that the state’s collection requirement would not be retroactive and would apply to the same definition of retailer that South Dakota adopted. This system standardizes taxes to reduce administrative and compliance costs: It requires a single, state level tax administration, uniform definitions of products and services, simplified tax rate structures, and other uniform rules. It also provides sellers access to sales tax administration software paid for by the State. Sellers who choose to use such software are immune from audit liability. The Colorado Constitution provides home rule jurisdictions the full right of self-government in both local and municipal matters, including the “assessment of property in such city or town for municipal taxation and the levy and collection of taxes thereon for municipal purposes….” This constitutional authority of home rule jurisdictions to levy and collect taxes is arguably an obstacle to statewide uniformity as contemplated by the Streamlined Sales and Use Tax Agreement. As of this writing, home rule jurisdictions have no coordinated requirement for out-of-state retailers to collect sales taxes. While the Supreme Court has arguably made things simpler by overruling the physical presence requirement laid out in the Quill case, states that have complicated sales tax systems, like Colorado, will still see uncertainty. The Supreme Court could find that a fractured collection requirement is discriminatory or an undue burden to interstate commerce. Commerce clause enthusiasts will have to wait to see if the Colorado General Assembly will take on this issue in the next legislative session starting in January 2019.